The old heads will tell you that the game has changed for the worse. They’ll say the bars have lost their flare, and the competition has gone flat. They’ll say that the old kings will forever outlast the new. But for the new generation, 2017 has been a sign. We find ourselves in an extremely exciting time for hip-hop, when banging albums are seeming to be released every month. The game is full of characters, from the flashy young boys on the come-up to seasoned veterans putting their finest work on display. This year has shown us that rap music is in a new kind of prime, and the next generation of rap royalty is showing the the world that the game has changed for the better. The flood gates opened for new rap albums this January. Migos started off the year with a bang and released their Culture album, which took them to a new level of fame, and they were followed shortly after by Big Sean, who released I Decided. Those projects were the hype for the first two months of the year, but they were quickly overshadowed by Future double release of his self titled album Future, and HNDRXX a week later. He put out 36 songs in just a week, instantly became the buzz of the year, and rightfully so. These are the best projects of Future’s career, with some beautifully produced beats and some of the catchiest hooks of the year. Mask Off is an instant classic, and countless other hits off of the two albums cracked the Billboard Top 200. Future is in his prime, and that was evident after the second album release. But even Future was somewhat overshadowed by Drake’s More Life, which released in late March. The album is one of the most successful projects of the year, and although Drake receives some scrutiny for the islander vibes on the album and his lack of island roots, Drake is in top form right now. The album is great, and has a ton of replay value. Drake appeals to everyone on this project, which is why it was so successful. It has just enough bangers to make it a top rap album in my eyes. The Drake hype didn’t last long though, because the G.O.A.T. was hiding behind the curtain. 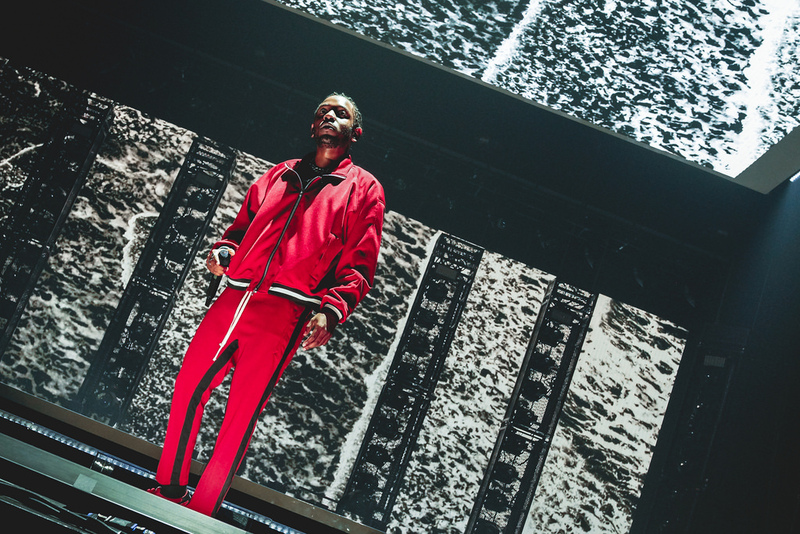 Kendrick Lamar released DAMN in early April, and instantly took the country by storm. At one point, the entire album was in the Billboard top 100, and half the album took over the radio. In my opinion, this is the best project of the year, and the best project of Kendrick’s career, which is saying a lot for someone who many consider to be the best of all time. Before May, three of the best artists in the game released arguably the best projects of their careers. Not even half way through the year, it was going to be one remember. Stellar releases continued through the summer. In May, Logic released his third studio album, Everybody, which sold the most copies of his young career. He continues to capture his large niche audience with his message of peace, love, and positivity, and his undying ability to produce intricate rap songs. In June, 2 Chainz released one of the best, most repayable albums of his career with Pretty Girls Like Trap Music. It was accompanied by SZA’s CTRL, and Jay-Z’s 4.44 in the same month. In July, one of the most popular XXL Freshman, 21 Savage, released his debut album, Issa. Later that month, Tyler the Creator released Flower Boy, and Meek Mill released Wins and Losses. After a two-year span without releasing a project, Action Bronson finally put out Blue Chips 7000, the third installment of his underground classic “Blue Chips” series. As a huge Bronson fan, I think this album is amazing. It’s one of my favorites of the year, and easily Bronson’s most exciting project to date. He was followed in August by two more XXL Freshman, Lil Uzi Vert and XXXTentacion, with their albums Luv is Rage 2, and 17. With only three months left, 2017 is looking like one of the best rap years of late. Even if you aren’t a fan of the flashy style of the new age stars, you have to recognize the talent in the industry. While new faces are trying to make their mark on the rap industry in fresh and exciting ways, the A-list names are holding down the genre with straight bars and awesome music. Even the old heads should recognize that rap as a whole is making exciting strides into the next generation. Jacob Trask can be reached at jtrask0411@gmail.com.